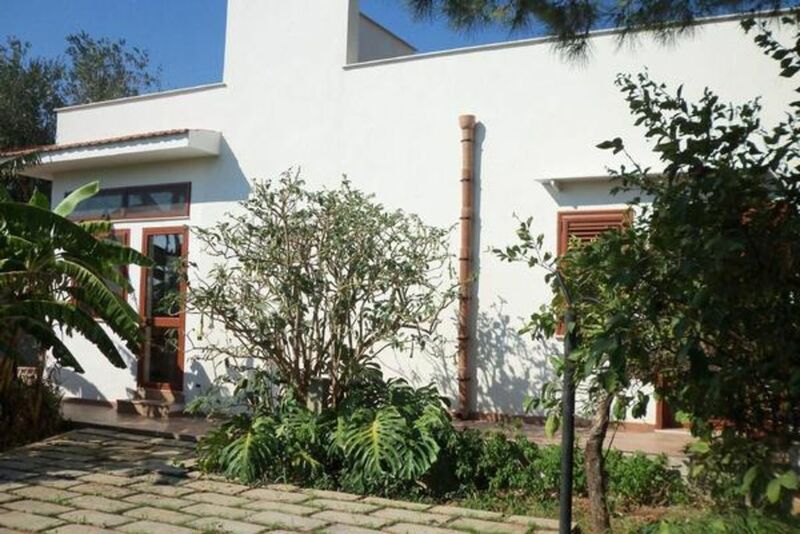 Lovely villa 200 square meters, is located in Cinisi in the province of Palermo is located only 6 km from the 'airport Punta Raisi (Falcone-Borsellino), and 1.5 km from the sea. Seaside town very close to the coast of Castellammare Balestrate- Golfo- Scopello -San Vito Lo Capo. Cinisi is 25 minutes from Palermo. Nearby you can visit many beaches, several towers, traps, museums, beams that line the coast. The villa has two bedrooms, one bedroom with bath / shower inside, and another room with two single beds and separate bathroom. Large kitchen, living room, sunroom, two indoor parking spaces, large garden. There is also a sofa bed in the living room with two beds. Total 6 beds. Next door is a large hypermarket, handy for shopping. Inside you will find a washing machine, refrigerator, two air conditioners, hair dryer, indoor and outdoor shower, television. The beach area has a great color!